December 2011 - Radii | Go Digital. Go Radii. For some, the holidays are about spending time with family and friends, putting smiles on loved one's faces or rushing to get that last minute perfect item for that special someone. For me its about eCard; lots of eCards.Some of our clients (and our client's clients) have come to depend on us for producing interesting, ridiculous, or just plain wacky eCards year after year. This year, I thought I would quickly share some of my favorites and talk a little about how they were produced so without further ado I present to you the Radii eCard Bonanza! Without question one of the wackiest and most fun eCards we created this year (or any year for that matter) was for the Toronto based family law firm Martha McCarthy and Company (MMC). MMC wanted to play off the popularity of Angry Birds but tie it back into their business. 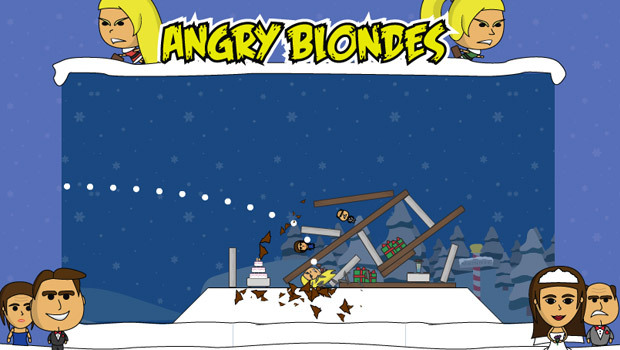 Working together we came up with Angry Blondes - a holiday themed Angry Birds game featuring two MMC lawyers instead of birds. Our very own Business Development Lead, Honrio Cham, was recently invited to photograph the Mooneyes 20th Annual Yokahama Hot Rod Custom Show in Tokyo, Japan. 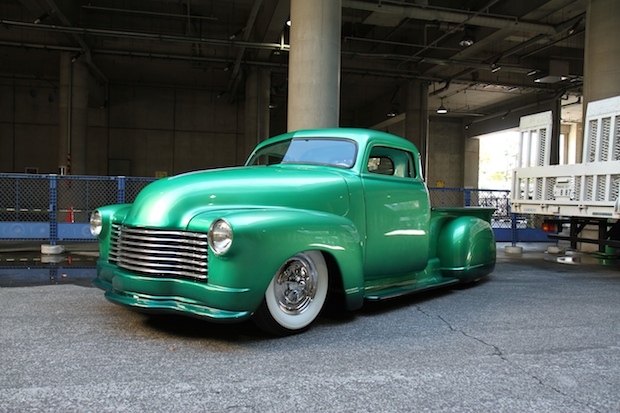 Pairing one of the most respected hot rod shows in the world with one of the best aftermarket products business with a Japanese division is simply a recipe for success, and this year’s show certainly was. Of course, what else would you expect when you take someone with a passion for bikes, an eye for design and the skill to capture it all in images? Sure enough, Honrio returned laden with beautiful photos, plenty of stories—and a little jetlag. We enjoyed a wonderful Christmas party this year, and we have the snapshots to prove it. All photos were taken by Zhibin Huang, one of our resident Development Wizards, on his Panasonic DMC-GF2. But more about our love for new gadgets later. WordPress is a great tool for getting everyone involved in a website, and we have found it to be particularly useful for keeping site maintenance simple for our clients. Even better, many people are familiar with the CMS so our clients can experience a minimal learning curve and a maximum control over their site. Of course, WordPress isn’t the right choice for every site, but its benefits are numerous. Here’s the top six elements to consider when developing a site from WordPress.